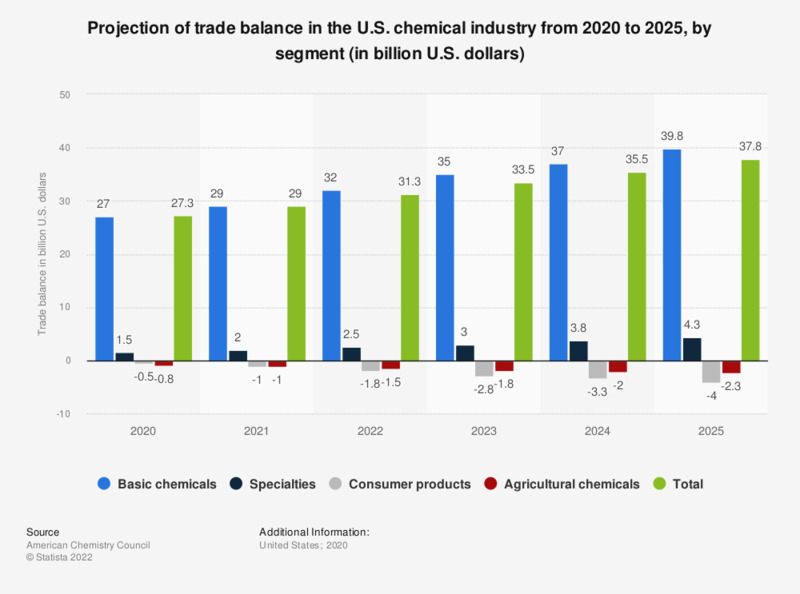 This statistic displays a forecast of the trade balance in the chemical industry in the United States by segment from 2019 to 2023. In 2020, the trade balance of the basic chemicals segment is expected to total 49.7 billion U.S. dollars. Appreciation of the U.S. dollar is likely to reduce costs and increase production in the chemical industry. The capacity of the chemical industry is also continuing to increase and will likely contribute to innovation and more efficient production. *Pharmaceutical data is not included.